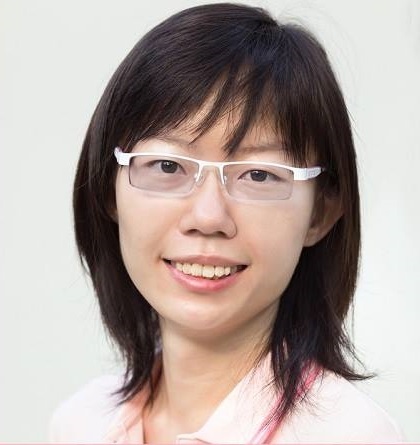 Han Hui Hui is a human rights defender from Singapore. She works both independently and alongside her volunteers. Using predominantly social media, Hui Hui works on the improvement of the quality of life in Singapore and seeks to empower its citizens. Her main concerns include public health, education, housing issues and social needs. Hui Hui is active on blogspot, facebook, instagram, twitter, and youtube. Could you please give us a little background about what you do, how long for, how you began, what initially inspired you? I started blogging when I was in secondary school. I created my current blog in 2008, when after creating and deleting various sites - I was threatened by the Singapore government with a defamation suit at 21 years old. That was a period during which I started learning about the freedom of expression and freedom of speech. It did not occur to me that such human rights existed because no-one mentions human rights in Singapore, it was a taboo topic. It was the same period when I started to blog and post more things online. I was told that it was alright to blog, but that a girl should blog about things like makeup and outfits - not on any government policies or political issues which directly impact our lives. I thought of the fact that even if you want to buy makeup products you have to pay taxes, so everything is related. The main issue that I talk about is education, and education leads to employment, employment leads to our pension savings, and then to housing and healthcare. So the main three topics I was concerned with were: housing, healthcare, and fundamental human rights. In your experience as a defender, what are the main concerns when carrying out your work in the private, public, and digital sphere? I think that when I first started in 2014, I did not know what ‘online trolls’ were. I replied to every single comment, and I took every comment to heart. When I received threats, I was scared that if I went out, someone would beat me up. I did not know how to recognise real threats and governmental threats or the ‘internet brigade’ engaged by the government. In the online world it’s the fact that people can leave a comment anonymously, but the younger me did not know how to react back then. My account was reported in 2014 and I got banned for a month and that one month gave me a break. I continued going out and I realised that I am very fortunate because I am a girl, I did not get beaten up - unlike the other male Singaporeans. In the face of all these challenges, what has given you the impetus to continue? I think it’s the hope that things will be better. And the faith that the future generation will be more knowledgeable - especially with technology. There is a flow of information now. I think live videos help the most. Because live videos show people – ‘look I am in this place at this time, and I am proving to you that I am not in prison as per the rumours, instead, I’m alive and healthy’. During the month that I was banned, many started saying that I fled the country, or that I sought asylum or that I have given up - so that everybody should just stop their work. Thus technology can be a good tool, it depends on how you use it. Can you think of any good practices (legal, administrative, policy, etc) that allow you to carry out your work safely? Can you think of how these practices could be made more gender-sensitive? I don’t think there are laws to help carry out the work safely. When I was in prison, I was strip searched in front of male police officers. Instead of carrying out an investigation, the government changed the law and they made it legal for male officers to strip search female suspects. I think the main thing is that to keep in contact with your volunteers and supporters. This will help a lot because Singapore is very small. Everyone knows each other, so when they see you face to face that is how you spread the words of your work. What self-care methods have you felt are most effective for battling burnout and helping you deal with the challenges you face? First you take a step-back. You cut out contact with whatever or whoever is trying to put you down. If online comments are making you feel bad, stop reading them for maybe a day or two. Talk to your family, your main source of support. After that you can talk to your volunteers, because they are also likely to contribute with other ideas. Surround yourself with positive people who understand and appreciate your work, but are also able to come up with constructive criticism in order to help you make continuous improvements. If you could give your younger self, just beginning in human rights defending one piece of advice – what would it be? Do not read too many comments! But then again it was also because of those comments, that I understand what I know now.